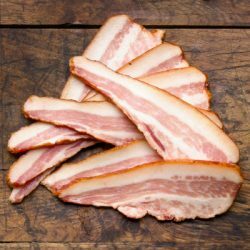 English back bacon is a special little treat made from the loin and part of the side of the pig. 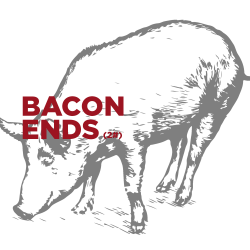 This means you get a really nice big slice of cured and smoked pork loin along with a small slice of pork side all in one piece of bacon. 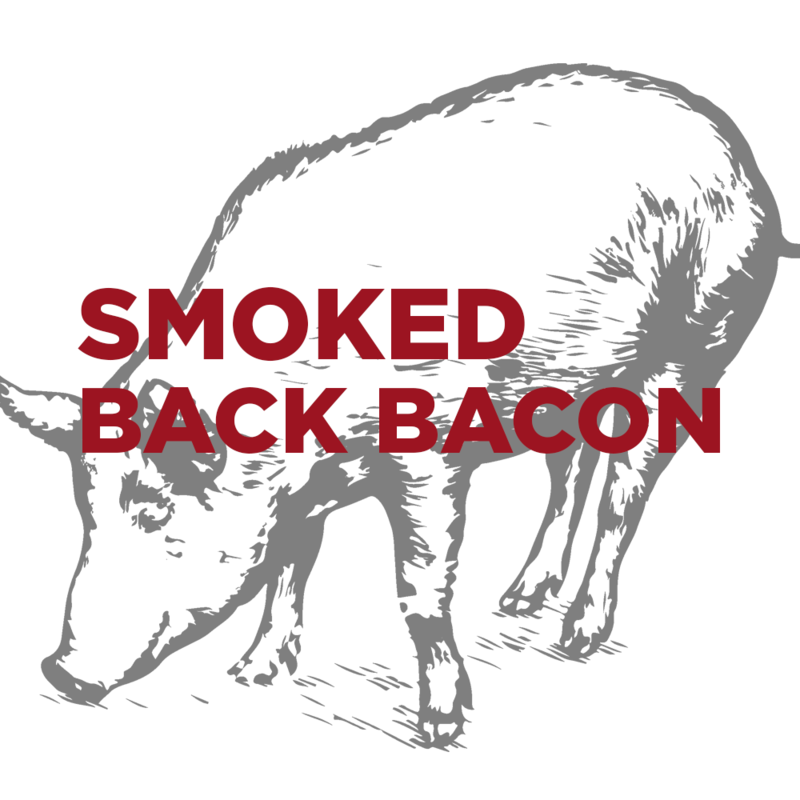 This is our version of English rasher bacon and we definitely smoke it! 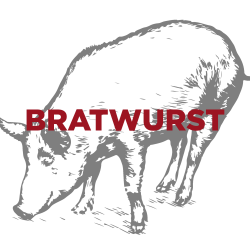 All of our pork is pasture raised so there are no added antibiotics or hormones. 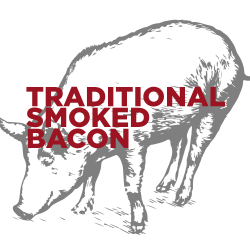 Old Major Smoked Back Bacon comes in 16oz packages and is thick sliced for maximum baconness!